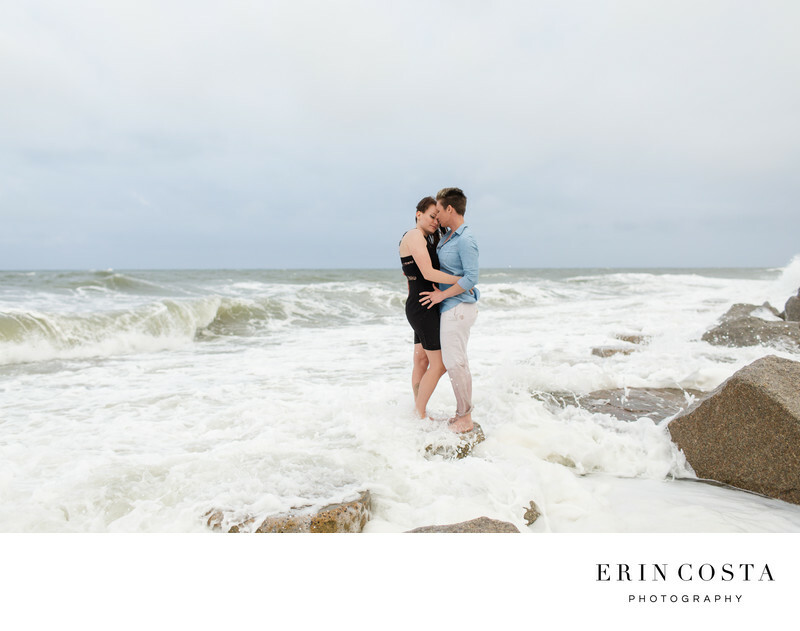 The dramatic sky, the wind in their hair and the love in their hearts makes this one of my favorite images from Linds & Teisha's engagement session at Fort Fisher. They were troopers and were getting slammed by the waves but were just lost in each other while I photographing them. Engagement sessions should be fun, but also have a romantic softer side and I think we captured this beautifully here.